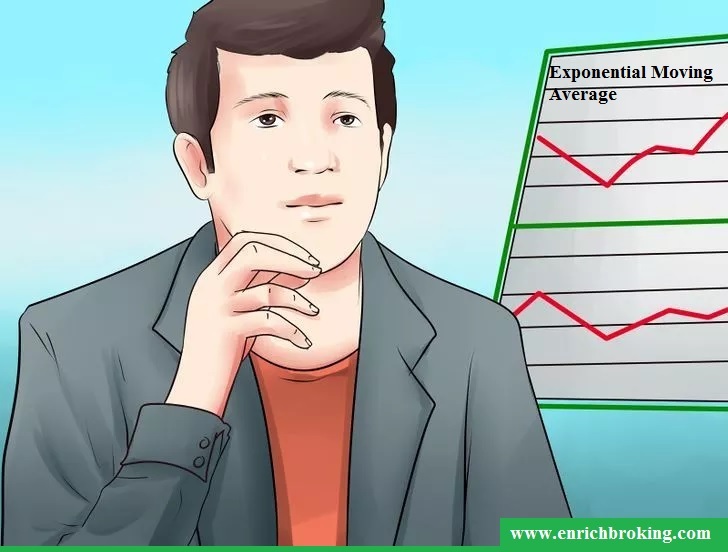 Exponential Moving Average (EMA) & the Simple Moving Average (SMA) are more or less the same in measuring the trend direction over a period of time. The difference occurs where (EMA) emphasizes more on the ‘recent prices’ i.e., current data and the (SMA) calculates only the average of price data. The method that we adopt to (SMA) would be the same when analyzing (EMA). We need to know that the (EMA) focuses more on the price movement. (EMA) would help us like two sides of a coin. It can help us to “identify trends quicker” than an (SMA) & at the same time when comparing an (SMA), more “short-term changes” will be noted in (EMA). In order to find out the trend direction & trade in that direction EMA can be applied. EMA rises: We may look at buying when prices dip near or just below the EMA. EMA falls: We may look at selling when prices meet towards or just above the EMA. Moving averages also indicate Support and Resistance areas. When there is a raise in the EMA, it supports the price action and when there is a fall in the EMA, it provides resistance to price action. We should understand another important point here. The EMA & other moving averages do not help us to identify a trade at the exact bottom & top. There will be a delay at the entry & exit points although the moving averages assist us trading in the general direction of a trend . The EMA has a shorter delay compared to the SMA with the same period. The (EMA) uses all the price data within its current value. “More emphasis” is laid on the Newest price data on the MA. There is very “Less emphasis” on oldest price data. The smoothing constant K, applies appropriate weight to the most recent price. It uses the number of periods specified in the moving average.